As we head into the world of digital video equipment and HD formats, we have seen that the cost of video production equipment has decreased an incredibly great deal. For the home videographer, the ability to produce semi-professional quality videos is practical and will not require you taking out a second mortgage on the house. In this new world of video production equipment it can be difficult to differentiate what is professional video equipment from that which is used in a more non-commercial setting. Here is a look at professional video production equipment that you will need and what separates it from consumer models. format. Even still cameras like the Canon Mark II series are known for high quality HD video, but just because a camera is listed as being in an HD format does not mean that it is going to be appropriate for professional uses. Many of the lower end HDV cameras are not going to produce an image that is in line with what most people consider High Definition, and though things like the Canon Mark II produce beautiful images they are more appropriate for a second camera rather than a primary one. What you need to look at is the size of the sensor, the ability to add and remove lenses, and its overall ability to produce clean images. 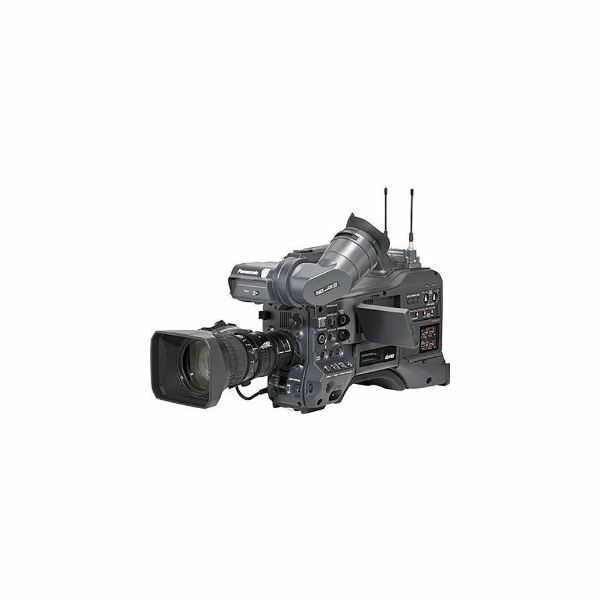 For example, the Panasonic HVX is a great HD camera that is small and easy to use. It is good for documentary shooting, but for a piece of professional video equipment it is better to go with the higher end Panasonic HPX. There are a lot of formats that are emerging right now, so you may want to look for a dual camera set up where you have a higher end HD camera as your primary and then a more consumer based model to support it. Right now the RED format continues to lead the new digital world of cinematography, but you should wait to see if you can afford the peripheral items and the cost of post-production that is associated with this format. In a more general sense, external microphones are usually considered professional video equipment. Most home videographers will rely on the on board microphone, which is becoming a little more efficient on the newer professional HD cameras. This is still not really going to be good enough for professional purposes because you will need to focus in on the character of sound that you want and to get the cleanest quality audio. You need to remember that professional video services are those with a commercial representation in mind, which may be client based or independent with a focus on possible sale. This means that the audio needs to all be intentional, and that requires you to have microphones that are high quality and are specified to the type of sound you want. If you want a full range of professional video equipment then you may want to find a high quality shotgun microphone, a condenser microphone, and a pair of wireless lavaliere microphones. Controlled light is the mark of professional video and is really at the heart of cinematography in general. Images are composed very specifically by the arrangements of the subjects and objects, the positioning of the recording equipment, and the presentation of the situation in front of the camera through lighting. To do this you will need portable light kits, and there is a grave difference between them. 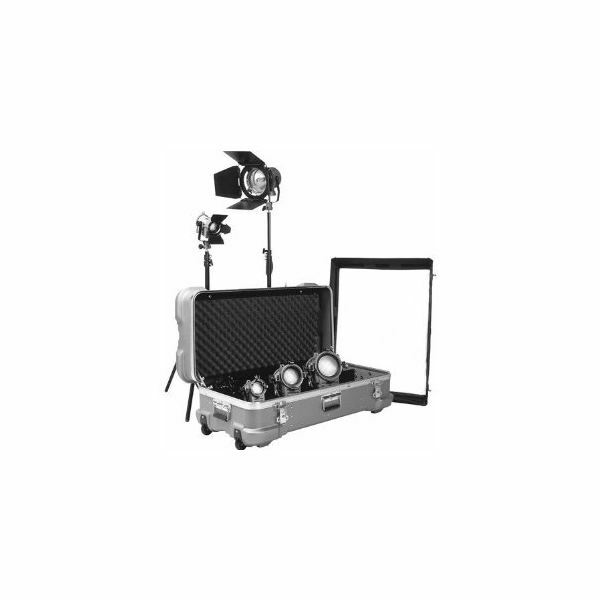 A professional light kit will include a range of lights and proper stands, including a range of lights from the low end 150 Watt lights to 1K lights. A full professional light kit, or lighting system, would likely then include large scale HMI lights that will allow you to essentially reproduce natural light in a more controlled setting. In the character of these light kits you will need lighting peripherals such as scrims, filters, and even a large chimera to create a soft light. Grip equipment refers to equipment that has a constructive element to it where by you create a situation in a location, or work to build a location, so that it will be appropriate for filming. This really can be a range of things, but all of it is relatively sizable and really the difference between a set of professional video equipment that you can easily bring in a car and what you may need a special vehicle for. Unless you have a full service production company this may just end up meaning c-stands, apple boxes, sand bags, clamps, sound blankets, and other things to make the location ready for filming. Much of what makes professional video equipment important on a set is going to be the options it gives you as well as the appearance it gives to clients who may be paying for your services, and grip equipment is really going to add to both. The most important piece of professional video equipment you will have is purely virtual. The post-production software that you are using will give you the tools that you need to really complete a video project. This is really where the final product is created, and there is a great difference between professional post-production software and that which comes on board your computer already. Final Cut Pro or Avid Media Composer are well known, professional video editing programs and will give you the tools you need to cut together your film. You are also going to need high end software for motion graphics, DVD authoring, compositing, audio mixing, and color correction. These will likely come in some of the professional post-production software packages that you buy, but you may need several so this can end up being some of the most expensive pieces of professional video equipment.